The designer was best known for her sleek handbags and upscale style. 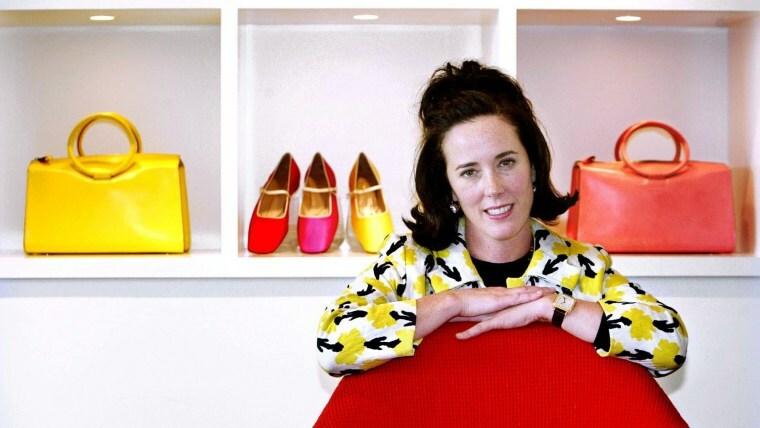 Kate Spade, the world-renowned fashion designer known for her popular handbags, has died in an apparent suicide, NBC News reports. Spade was found dead in her Park Avenue apartment Tuesday morning. She was 55 and is survived by her husband, Andy, and a daughter, Frances, 13. Spade, who was born Kate Brosnahan in Kansas City, Missouri, in December 1962, became one of the brightest lights among a wave of contemporary female American designers in the early 1990s. She was also one of the most recognizable, often appearing at events with a '60s-style bouffant hairdo and retro black glasses. In 1993, the former Mademoiselle magazine accessories editor — who had little design experience of her own — launched a line of chic handbags that would become an international sensation. Taking cues from her own fashion inspirations, Audrey Hepburn, Jackie O., and Bjork, Spade opted for utilitarian simplicity and bright color palettes, which allowed modern career women to feel both sophisticated and playful. She offered a stylish and affordable alternative to young women who found Chanel bags too expensive and too stuffy. Encouraged by her future-husband Andy Spade, an advertising creative designer whom she met at Arizona State University (and brother to "Saturday Night Live" alumnus David Spade), the designer set out to create a bag that was "timeless" but "more personal, less serious," she told the Boston Globe in 1999. Her first designs were originally created at home using paper and Scotch tape, and her first sample was a square bag made out of burlap she purchased from a potato sack manufacturer. Spade opened her first retail shop in SoHo in 1996. The billion-dollar brand now boasts more than 140 shops and outlet stores across the United States, and more than 175 shops internationally. Spade left her company in 2007, after it was bought by the Neiman Marcus Group for $125 million (the company then known as Liz Claiborne Inc.). A decade later, Coach (now known as Tapestry) acquired the brand for $2.4 billion. After the sale, Spade and her husband focused on raising Frances. Later, in 2015, Spade revealed she and several other designers were working a new line of shoes and handbags called Frances Valentine. Spade went about the new endeavor with her usual gusto, telling reporters in 2016 she had changed her surname from Spade to Valentine. If you are in crisis, call the National Suicide Prevention Lifeline at 1-800-273-8255 (TALK) or reach out to the Crisis Text Line by texting ‘Home’ to 741741.